Milana Zilnik is an extraordinary pianist, composer and singer-songwriter. Milana was born in Ukraine, lived in Israel for many years, and has resided in Canada for the past ten years; this has provided her with rich experiences to draw from in her musical story telling. 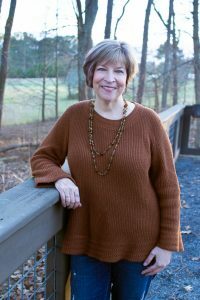 A performer and recording artist since childhood, she improvises like nobody’s business and finds musical inspiration everywhere, catching melodies “on the fly” and using them to create unique, imaginative music embracing a variety of styles – everything from folk, blues, opera and Middle Eastern to rock and jazz. Milana describes her ninth and most recent album, “Where Giants Roam the Earth, as “an original piano solo crossover of classical, jazz and rock genres, composed for the biggest (until this year) upright piano in the world.” As the story goes, sometime around 2012, Milana discovered an artist who called himself “ThePianoGuy” (no relation to “The Piano Guys”) and fell in love with his music, especially the sound of his piano, like none she had ever heard before. She later discovered that “ThePianoGuy” was none other than David Klavins, a well-known piano maker who created the biggest upright piano in the world, which he nicknamed “The Giant.” In 2015, Milana’s husband surprised her with a trip to Germany, a meeting with Klavins, and an hour-long session on “The Giant.” Instantly, Milana knew that she would one day compose specifically for that piano. 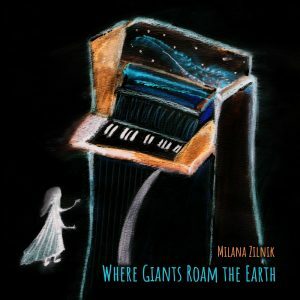 “Where Giants Roam the Earth” is Milana’s dream come to fruition. A musical fairy tale, these fourteen compositions spin a musical tale of a journey to an imaginary land where Giants roam the earth, beginning in summer and traveling through autumn, winter and into spring. As I listened to this album – a soundtrack to a story of the listener’s invention – my imagination ran wild, and my experience grows deeper with each additional hearing. The album opens quietly with “Invitation to the Dream,” drawing the listener in with its mesmerizing ostinato left hand pattern topped by a captivating right hand motive that slowly builds to a mysterious climax. By the end of this track, I could hardly wait to arrive at the land “Where Giants Roam the Earth,” energetic and flowing, heavily syncopated and with a strong jazz feel, energetic and flowing, jagged and sparkling at the same time. From there we move into the “Summer Tale,” as bright and joyful as a perfect day in July, making beautiful use of the upper registers of the piano. “Hidden Inside” is mysterious and contemplative and put me in mind of the depths of a cavern filled with shadows and light. With “Autumn Tale,” the music becomes darker and more somber, perfect for the season when the days get shorter and colder and everything turns brown and drab. “Burning” is a change of pace, a smoldering dark bass punctuated by sparks in the upper register, an apt musical description of a joyful autumn celebration. “Haunted Waltz” has an intimate romantic jazz feel and would be a great piece to listen to sitting in front of a warm fire with a special someone on a cold autumn evening. “Winter Tale,” with its ostinato left hand, tinkling upper register intervals and luscious harmonies, put me in mind of snowflakes falling and is a favorite. “Walking Away” is almost conversational, alternating between darkness and light, brooding and thoughtful, resolving with optimism. Indeed, sometimes the best option is to walk away. “Solitude” is quiet and comfortable, followed by “Spring Tale,” another favorite – a musical painting welcoming the spring sunshine, flowers sprouting through the snow, and the budding of the trees. “Catching Up” hurries without stopping – is whoever was left behind in “Walking Away” attempting a reunion, perhaps with the desire to make amends? According to Milana, “the journey ends as most journeys do, coming home and bringing music from that distant land, where pianos grow big as trees, where composer’s fantasy meets magnificent musical reality.” And the album’s final track, “Coming Home” perfectly captured the feeling I always have at the end of my travels: happy anticipation of returning to my creature comforts and loved ones at home tinged with regret at having to leave wonderful places and new friends behind. “Where Giants Roam the Earth” is a unique and unforgettable sonic adventure, and I give it my highest recommendation. Companion sheet music book available too!